I didn’t plan to talk about the Munda any time soon, in part because I recently wrote a post, The Munda as upland rice cultivators, which outlined my views. But there is a new preprint with new samples which attempts to estimate admixture times using genome-wide data. You can see the results above, and, also note that they found similar estimates using Y chromosome SNP variation around haplogroup O2a1. Surrounded by speakers of Indo-European, Dravidian and Tibeto-Burman languages, around 11 million Munda (a branch of Austroasiatic language family) speakers live in the densely populated and genetically diverse South Asia. Their genetic makeup holds components characteristic of South Asians as well as Southeast Asians. The admixture time between these components has been previously estimated on the basis of archaeology, linguistics and uniparental markers. 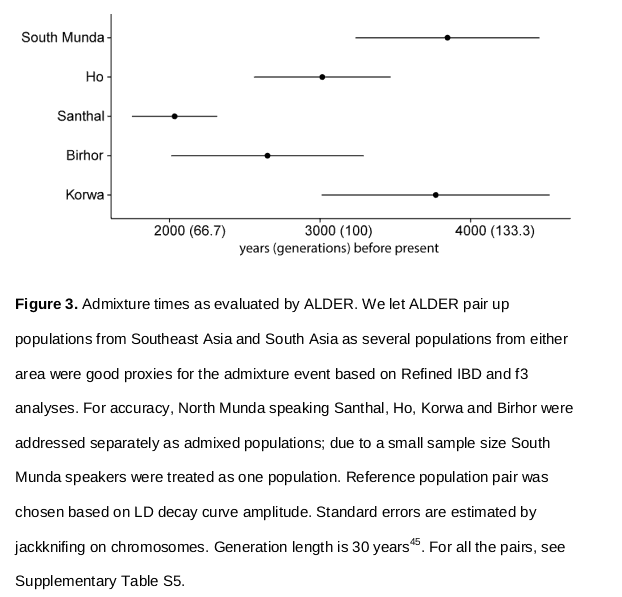 Using genome-wide genotype data of 102 Munda speakers and contextual data from South and Southeast Asia, we retrieved admixture dates between 2000 – 3800 years ago for different populations of Munda. The best modern proxies for the source populations for the admixture with proportions 0.78/0.22 are Lao people from Laos and Dravidian speakers from Kerala in India, while the South Asian population(s), with whom the incoming Southeast Asians intermixed, had a smaller proportion of West Eurasian component than contemporary proxies. Somewhat surprisingly Malaysian Peninsular tribes rather than the geographically closer Austroasiatic languages speakers like Vietnamese and Cambodians show highest sharing of IBD segments with the Munda. In addition, we affirmed that the grouping of the Munda speakers into North and South Munda based on linguistics is in concordance with genome-wide data. There is a weird pattern of the affinities in f3 statistics in the IBD in this preprint. I think the explanation that they give, that Vietnamese and Cambodians have been subject to later admixture, probably explains it. In the case of the Vietnamese, it’s southern Chinese ancestry. In the case of the Cambodians…it might be Indian ancestry! This might strike you as strange, but the Indian ancestry in the Cambodians may be more enriched for the West Asian component that’s not found in the Munda specifically: the element brought in by the Indo-Aryans. The peninsular Malay groups are “proto-Malays,” and these groups tend to be somewhat higher in AASI-like ancestry as well as lower in Austronesian ancestry. High shared drift tendencies with Lao and groups in more isolated areas of Malaysia may be a function of the fact that these are less cosmopolitan populations, with less Indian and Chinese ancestry, than other mainland Southeast Asians and Malays proper. These results are broadly in line with the Narasimhan et al. preprint, which is cited within it. In that preprint the Reich group outlines its general model, where modern South Asians can be thought of as a compound of several different ancestral populations of different affinities. The Munda in particular are enriched for “Ancient Ancestral South Asian” (AASI) vs. any other group, and the hypothesis is given is that the Southeasts Asian mixed first with with an AASI group which lacked the admixture with West Asians, and then mixed again with “Ancestral South Indians”, which had some West Asian (“Iranian Farmer”) ancestry. Since ALDER based methods, last I checked, tended to pick up the last admixture event, the more recent time for northern Munda groups makes sense. Looking at the Y chromosomes it is pretty clear to me that some of the East Asian ancestry in Bengali-speaking agriculturalists in the lower Gangetic plain is from Munda groups. Conversely, some of the Munda probably admixed populations from in from the west practicing intensive rice agriculture, which apparently did not become a feature of the landscape until after 1000 BC. One of my points in the post above I wrote on the Munda is that the common words for Austro-Asiatic languages indicates that they were upland rice farmers. This is exactly the modern distribution of the Munda. One hypothesis, which I now am skeptical of, is that the Munda once occupied the bottomlands and were driven into the hills by people from the west and south. I no longer believe this. Rather, the Munda may always have preferred the uplands, and so traversed the flat lands between the Khasi hills and the Chota Nagpur plateau. This preference for uplands may strike us as strange, but it’s not that rare. Yankee farmers in Ohio preferred upland zones, even though these were less agriculturally rich (farmers moving up from the South didn’t have this aversion). A point observed and implied in the preprint is that the expansion of Indo-Aryans, Dravidians, and Munda, seems to have happened all rather close in time. 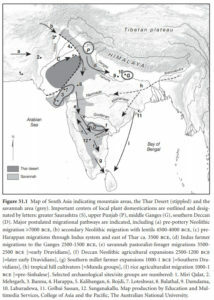 Though the northwest region of the subcontinent seems to have developed a settled agricultural society by 3000 BC of long standing, its expansion was limited by climatic restrictions on its crop toolkit. But by 2500 BC it seems pastoralists were already pushing into the Deccan via the dry-zone on the eastern edge of the Thar down from the Punjab. The Toda people of the far south of India are probably representative of the lifestyle of these peoples, who were Dravidian-speaking. A few centuries after this period is probably when the proto-Munda began pushing out of Southeast Asia. The DNA evidence is pretty strong this was a hugely male-skewed event once it got beyond the Khasi hills. Why? My hypothesis is that these were not quite small-scale peoples. Perhaps the male-mediation of a lot of gene flow in South Asia is due to the emergence of militarized confederacies where elite lineages engaged in conquest of territory from native groups. The Munda have very low frequencies of R1a, and very high frequencies of O2a. The admixture with Dravidian and Indo-Aryan speaking peoples that occurred between 2000 BC and 0 AD was probably overwhelmingly female-mediated. The narrative above suggests that most of the genetic changes we see in South Asia to result in the landscape of the present occurred in the period between 2500 BC and 500 BC. About 2,000 years. And yet agriculture of some form arrived in Mehegarh in western Pakistan 9,000 to 7,500 years ago, depending on what dates you trust. What took so long? Similarly, millet and rice agriculture in China is 7,000 years old, but only around 4,000 years ago did rice farmers start pushing south (and probably west in the case of the Munda). I’ll present the hypothesis here that this coincidence wasn’t a coincidence, and that certain things in relation to social complexity have a particular rate of change. 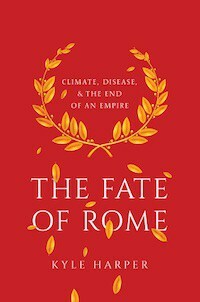 In general I agree with economic historians who say that our need to posit an “Industrial Revolution,” or a “Neolithic Revolution,” is somewhat of an imposition because humans don’t want to think quantitatively. It probably takes small-scale societies moving from hunting and gathering to full-brown agriculture a certain amount of time, and then to proceed to greater social complexity that enables migration which is more than due to simple natural increase and Malthusian driven expansion. Mainland India beyond what is today Pakistan and much of Southeast Asia were “filled up” by agricultural peoples around the same time after a long incubation to the west and north because similar social forces were at play. Nice post, Razib. So after a long lull we suddenly have a spate of preprints. I think there is a good reason why inspite of having a Neolithic culture with cattle, goats, sheep and other domestic animals and then having a very complex and advanced urban phase with the greatest expanse, the NW Indians expanded as late as 4000 YBP. It is, as most archaeologists and other scientists, geologists concurr, due to climate change. It looks like, though there are some contradictions, that the NW of the subcontinent after about 8000 YBP or so, underwent a slow and continuous decrease of the monsoon which however intensified between 5000 – 4000 YBP. This could have lead to migrations and political expansions of specific groups that brought about the uniformity of the Urban Indus phase but it could have also lead to outward migrations as we see in Eastern Iran (Shahr-I-Sokhta) & Central Asia (BMAC). There is evidence of Indus people even in Oman (ancient Magan) and further up in Mesopotamia but these may have been trade related movements. Finally, maybe aridity reached its high point around 4000 YBP which was also roughly the period of the greatest expanse of the Indus civilization. 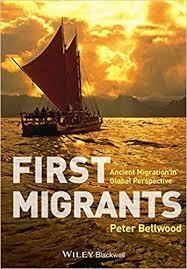 This would have lead it to a tipping point from where things began to unravel and hence people were again forced to migrate both west and east further inland. That there was a westward movement is indirectly indicated by the fact that around 2100 BC, the island of Bahrain (ancient Dilmun) sees the coming of a new cultural elite who also bring about the use of Indus derived seals, weights, tokens, etc. There is also the Zebu cattle which makes its appearance in the Near East around the same time. Not only that, it is only in the 2nd millennium BC that we see the sudden appearance of the so-called ‘Syrian’ Elephant which was likely an import from South Asia by the Mittani elite. re: climate, yes. plausible. the main issue i have with ‘it was the climate’ explanations is that there is ALWAYS a climatic reason one can give. re: IVC western contacts. those are attested. 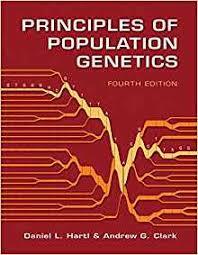 though we don’t see much demographic impact in modern genes. probably these people died, or, the were very along the ‘west asian’ cline to begin with like the baloch (i don’t count afghanistan/khorasan as ‘west’ here, there the indian connection is more substantial and present today as you know). re: ‘syrian elephants.’ google tells me that use in wore dates to selucids (and those were probably indian, yes). not mitanni. that’s what i remember. do you have a cite to suggest mitanni usage of elephants? as you know i suspect the mitanni are a branch of indo-aryans who may never have gone into india proper. Is this related to this article? Re: Climate – The problem is that we do not have any other grounds to suspect the reasons for IVC downfall. Based on the data that we have at present – it is loss of monsoon and onset/increase of aridity. This phenomenon is also known to have affected the Bronze Age Near East/Mesopotamia. Even though the Near Eastern crop package wasn’t initially amenable to the South Asian climate, wouldn’t the domesticates be? Why isn’t there evidence of pastoralist groups traveling deeper into India ahead of the farming wave, as there is for East Africa?